Minor fruits have many advantages in terms of easier to grow, hardy in nature, can be grown in poor, marginal and problematic soils and can produce good yield even under extreme weather conditions. There are many minor fruit crops which are less known to the common people even agriculture or horticulture students about its nutritional and medicinal value of the crops. A good number of research works has been carried out world wide on various aspect of minor fruit crops towards it cultivation, value addition etc. but the information has not been properly documented in the form of a book. Efforts have been made to provide the maximum information about the nutritive and medicinal value, origin and distribution, area of cultivation, genus and different species, cytogenetic, botanical description including flowering and fruiting, varieties, suitable climate and soil, different methods of propagation including micro-propagation, all aspects of cultivation, insect-pest, diseases and their control, physiological disorder and their control measures, harvesting, yield, post harvest management and storage, value addition, economics of cultivation, trade and marketing and future research thrust of individual crop in such a way that the information may be easily transmitted among the scientists, researchers, students, policy makers and entrepreneur who are intended to cultivate, promote and work for value addition for domestic and medicinal purposes. 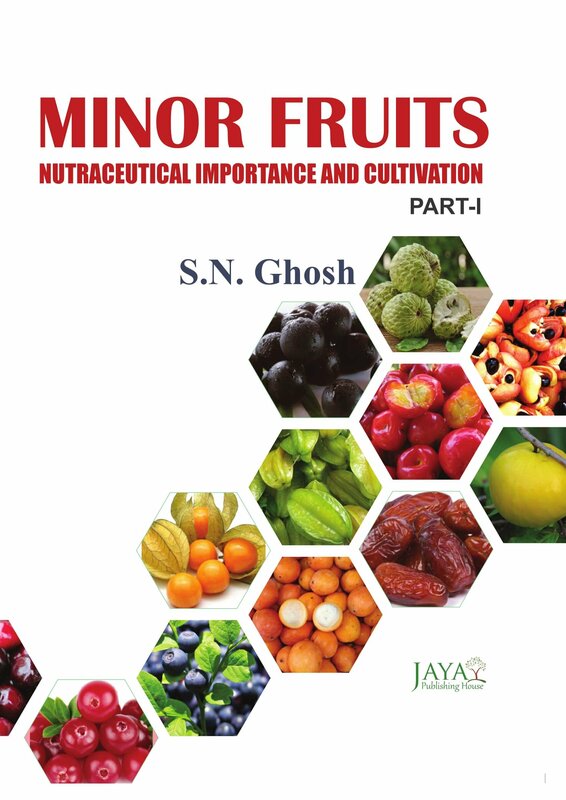 In this book (Part-I, II and III) forty eight fruit crops have been included viz., Acai, Acerola, Achachairu, Ackee fruit, Araza, Asian Pear, Bilberry, Blue berry, Cape goose berry, Carambola, China cherry, Chinese ber, Crane berry, Currents, Custard apple, Date palm, Dragon fruit, Elephant apple, Garcinia Cowa, Golden apple, Gorgon apple, Grape fruit, Indian Medlar, Jack fruit, Kumbat, Lason, Lasora, Macademia nut, Malay apple, Medlar, Mulberry, Palmyra palm, Pilu, Pineapple guava, Pomegranate, Prickley Pear, Quince, Ramphal, Seabuckthorn, Sohjhur, Sohramdieng, Sweet lime, Sweet tamarind, Wax apple, Wild Avocado, Wild Cherry, Wild Olive and Wild Persimmon.